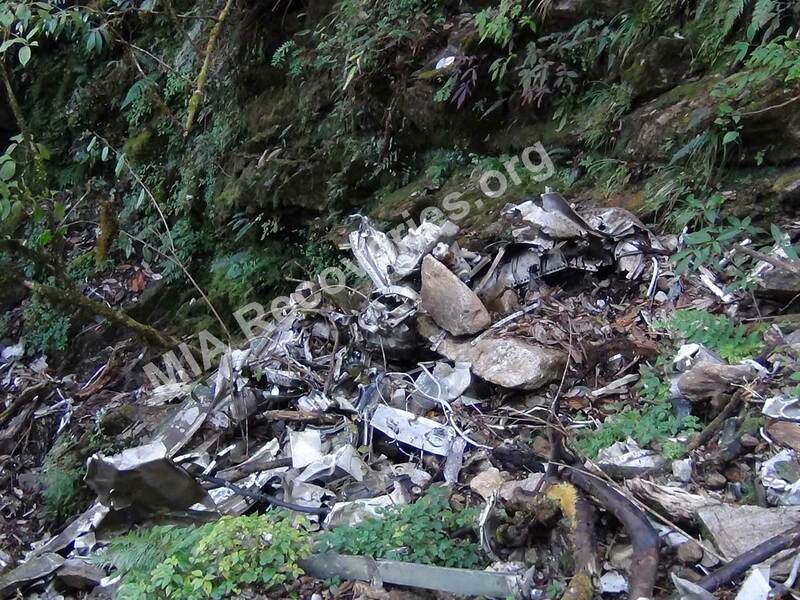 Full details of each aircraft crash site discovery are entered on a Crashed Aircraft Site Report. This report is available to authorized parties upon their request. See our Terms of Service. 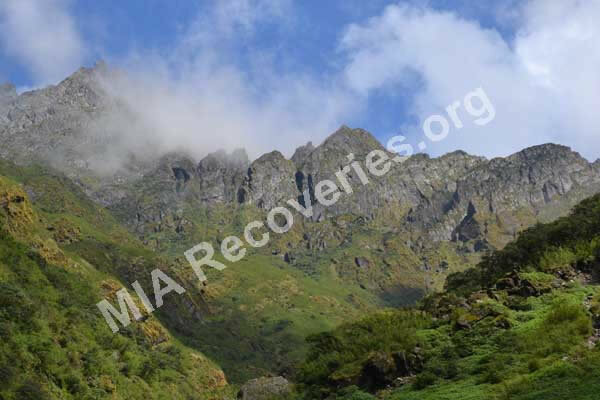 MIA Recoveries, Inc. employees a team of archaeologists who meet the professional standards for Principal Investigator as set forth by the Secretary of the US Department of the Interior. We offer complete site excavation and recovery services. Please contact us for a price quote. On 10 Dec 1943, this aircraft was on a rescue mission over Burma when it was attacked by Japanese Zero fighter aircraft. The B-25 tried to escape by flying westerly into India, but was pursued by the Zeros. The right engine caught fire after the main attack was over. The crew feathered the propeller, and as they did that, a Zero that had been pursuing them, pulled up from the 7 o’clock position and shot out their left engine, setting the aircraft afire. The pilot, Capt. John Porter, gave the order to bailout. Only the co-pilot, Lt. James Spain, had his parachute fastened on when the bailout order was given. Lt. Spain’s clothes got caught while he was trying to exit the overhead hatch in the cockpit and he was freed by Capt. Porter pushing him out. The aircraft was entirely in flames by the time Lt. Spain exited. The aircraft had crashed and exploded by the time Lt. Spain pulled his parachute ripcord moments later. No other crew members survived. Dead: 5. Note: Bolded name is that of sole survivor of this crash. View images and information from the Union County Veterans Memorial Plaza, where Capt. Porter and Sgt. Neibler are honored. This aircraft departed Mohanbari, India at 0423 GMT on 31 Jan 1944 for Kunming, China on a routine cargo flight over the Hump. The route was overcast with cloud tops above 24,000 ft. Winds were out of the SW and estimated to be 70 mph at 18,000 ft. Approximately 50% of the flight would have been flown on instruments and further complicated by the high winds. There is no record of radio contact from the aircraft. 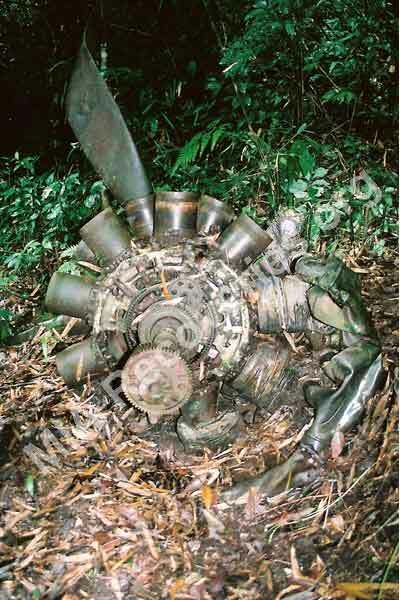 The last known position, cause or nature of the aircraft loss is not known. It is believed the crash may have been caused by bad weather, mechanical failure or a sudden catastrophic event. The cause of the crash was probably so sudden and so severe that the pilot didn’t have time to radio a mayday call. The pilot had made 35 round trips on this route. The aircraft has not been found and the crew has been declared dead. Dead: 4. This CNAC aircraft was enroute from Kunming, China to Dinjan, India on 17 Nov 1942. It was on a routine mission over the Hump back to its home base. The aircraft was loaded with tin billets in Kunming for transport to India. The Kunming tower notified the pilot that there was an incoming attack by Japanese aircraft, and the pilot should quickly depart to prevent his aircraft from being destroyed or damaged in the impending attack. The aircraft hurriedly departed Kunming before the cargo of tin billets could be completely secured. On Able route, about 1 hr. out from Kunming and slightly SE of Likiang, the aircraft was already icing badly. Pilot John Dean radioed Kunming-bound CNAC pilot Robbie Robertson that #60 was icing badly and asked Robertson about weather on the more southerly Charlie route that Robertson had just flown. Robertson replied he experienced no icing on Charlie route and saw no Japanese aircraft. This was the last known radio contact with #60. The aircraft did not arrive in Dinjan and was reported as Missing in Flight. No trace of this aircraft or its crew has been found. Dead: 3. On 25 Jan 1944, this aircraft departed Kunming, China for Chabua, India on a routine ferrying mission. The aircraft was assigned to the 14th Air Force, 308th Bombardment Group, 425th Squadron. The aircraft never arrived in Chabua. The cause of the crash and its whereabouts is unknown. Dead: 12. On 25 May 1944, this B-24 aircraft of the 14th Air Force, 308th Bombardment Group, 373rd Bomb Squadron, departed Yangkai, China for Chabua, India. It was a routine ferrying mission. The aircraft reported being 30 min. E of Chabua. This was the last radio contact received from this aircraft. 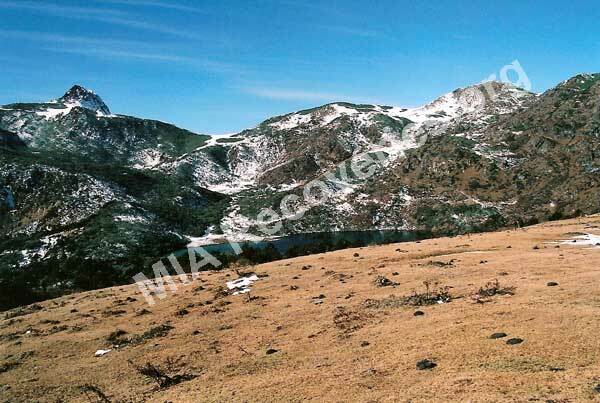 Due to the mountainous terrain where the aircraft was lost, it is believed that even if the aircraft were located, it would be all but impossible to recover the remains of the crew. The crew were declared dead as of 26 May 1945. Dead: 10. On 05 June 1945, this aircraft departed Dum Dum, India at 1243 Z on a shuttle flight to Jorhat, India. The only radio contact from this aircraft was a position report transmitted at 1415 Z. 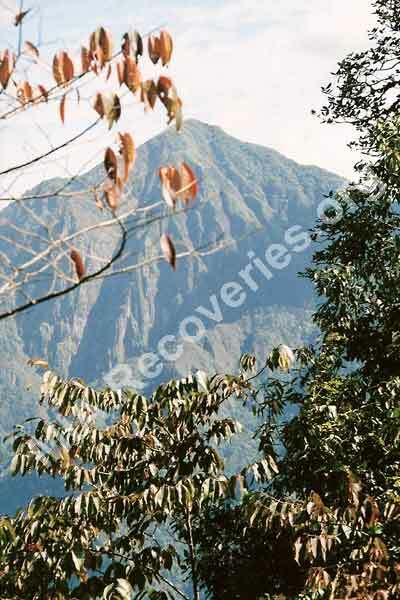 The crew reported its position at that time as S of Lalmanirhat and at 5,000 ft. altitude. The aircraft never arrived in Jorhat. Dead: 7. This aircraft departed Lalmanirhat, India on 25 May 1944 for Chabua, India on a routine cargo run. This was an Air Transport Command aircraft assigned to Karachi and with an ATC crew aboard. 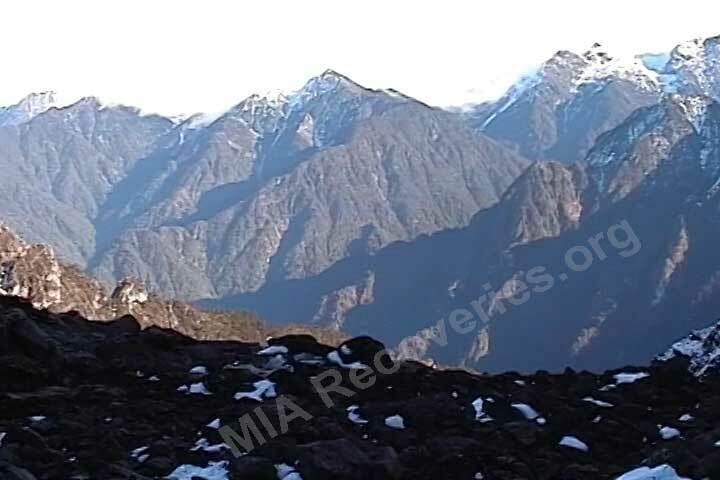 The aircraft did not arrive in Chabua, and no distress calls were received from the crew. The weather was very poor that day along its route, with scattered thunderstorms, low clouds and occasional zero visibility being reported. 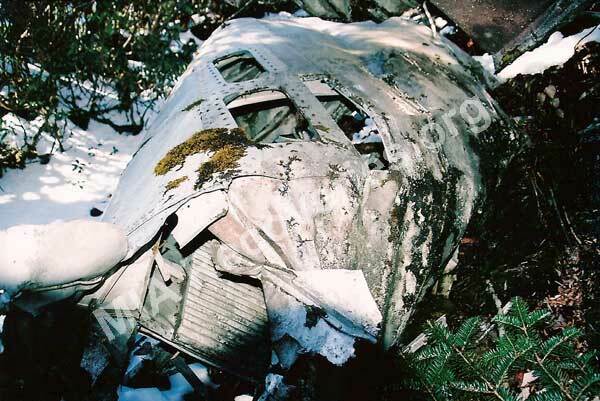 The last report on this aircraft states it is still missing in flight and the crew is presumed dead. Dead: 3. This aircraft of the 10th Air Force was assigned to the post-war American Graves Registration Service (AGRS). It departed Mingaladon airport at Rangoon, Burma early in the morning on 17 May 1946 for Barrackpore, India. The aircraft had a crew of 3 from the 1304th Air Force Base Unit and 8 passengers, including a 6-man AGRS team. The aircraft was transporting as many as 43 sets of US POW remains recently recovered by the AGRS team from POW cemeteries in southern Burma. A heavy storm was developing over the Bay of Bengal that day and moving NNE. The aircraft would unavoidably encounter the storm along its route to Barrackpore. The standard flight route from Mingaladon to Barrackpore required flying over the NE corner of the Bay of Bengal, starting over water at Akyab, Burma. Pilot failed to get a weather and route briefing prior to departing Mingaladon and he also failed to file a proper flight clearance. Pilot radioed Barrackpore at 0610 Z to report he had passed over Akyab at 0530 Z, was flying on instruments (indicating poor visibility) and he expected to arrive at Barrackpore at 0800 Z. Pilot radioed Barrackpore again at 0615 Z to request a weather update and Barrackpore had to respond to him twice because of heavy atmospheric interference (lightening). Pilot mistakenly responded to Barrackpore’s call to another aircraft at 0705 Z and reported QRU (nothing for you) to Barrackpore. This was the last radio contact with the aircraft. It was never heard from again and its location is unknown. After-accident interview statements from Mingaladon personnel revealed it was well known that pilot disliked flying over water. Furthermore, pilot reportedly stated he could not fly over water on this flight because there were not enough life jackets aboard his aircraft for all passengers and he instead planned to follow the coastline to Calcutta. Pilot expected this longer route to require 5.5 hrs. of flying time and more fuel, so the fuel tanks were fully filled before departure. Pilot also reportedly told Mingaladon personnel that if he encountered a storm over Akyab, he would change course to N or NE and attempt to bypass the storm. Pilot’s call to Barrackpore at 0615 Z for a weather update would indicate he was concerned about deteriorating weather conditions. There is no known record of pilot’s actual flight bearing after passing Akyab. AGRS searched extensively for this aircraft in the northern Chittagong Hill Tracts from 16 Dec 1946 to 08 Jan 1947. This would indicate AGRS believed the pilot had followed the coastline instead of overflying the Bay of Bengal and pilot probably changed course to N or NE at Akyab to bypass the storm or was blown further inland by the storm. Dead: 11 plus as many as 43 sets of US POW remains. Passenger: SSgt. Glenn F. Cox, Jr.
POW Remains: Capt. Armin J. Ortmeyer, Jr.
POW Remains: 1st Lt. Amel Boldman, Jr.
POW Remains: 2nd Lt. Everett E. Briggs, Jr.
POW Remains: 2nd Lt. Clarence A. Clyborne, Jr.
POW Remains: 2nd Lt. Thomas P. Hogan, Jr. Note: Bolded names are those of the crew members from B-24J #42-73222 a.k.a. Bugs Bunny. This B-24 aircraft with a crew of 10 men was shot down over southern Burma on 01 Dec 1943. All but 1 of the crew members died in the crash or later from their injuries, illnesses, malnutrition, or mistreatment by their Japanese captors while being held as POW’s in Burma. It is believed the remains of these 9 deceased crew members were recovered by the AGRS after the war and were being transported to Barrackpore aboard C-47B #43-48308 when this aircraft disappeared on 17 May 1946. The loss of the reports and field notes of the AGRS team in the crash of their aircraft may forever prevent this question from being resolved. Barring evidence that some of the deceased Bugs Bunny crew members are still unrecovered in Burma, then all 9 will remain listed here as a memorial to their incredible heroism in the face of a brutal enemy. This aircraft departed its home station at Chabua, India on 09 Apr 1943 on a routine ferrying flight to China. It was assigned to the Air Transport Command of the 10th Air Force, 1st Ferrying Group, 3rd Ferrying Squadron. This aircraft simply disappeared while over the Hump. Numerous attempts were made to contact it, but no replies were received to any of the radio calls. The aircraft and its crew were never located. The nature of the loss is undetermined. Dead: 6. This aircraft departed Chanyi, China at 0940 Z on 29 Jan 1944 for Misamari, India. Winds were reported out of the SW at 80-100 mph at altitudes greater than 18,000 ft. and severe icing below 21,000 ft. No radio contact was received from aircraft after it departed Chanyi. Aircraft not located and reported missing on 03 Feb 1944. Crew declared administratively dead. Dead: 4. This aircraft departed Yangkai, China on 09 Aug 1943 enroute to Jorhat, India. It was reported missing in flight. There was still no news on the fate of this aircraft or its crew as of Dec 1943. Dead: 5. On 13 Jul 1943, this aircraft departed Mohanbari, India for Kunming, China. It was on a routine mission over the Hump. The aircraft radioed from the vicinity of Sookerating, India for a weather report at Yunnanyi, China. This radio call was received at 1418 IST. The aircraft did not arrive in Kunming. It has not been located and no further information has become available. Crew and passenger declared dead. Dead: 4. On 04 Feb 1945, this aircraft departed Chabua, India for Karachi, India. The aircraft was transporting 35 passengers who were homeward bound to the US. 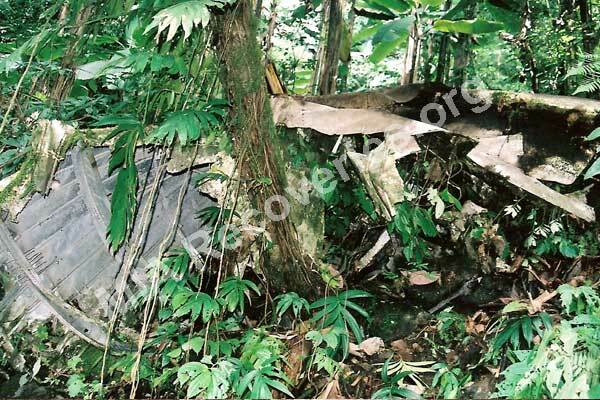 The aircraft developed mechanical problems and caught fire over a remote jungle area approx. 55 mi. NW of Jorhat. 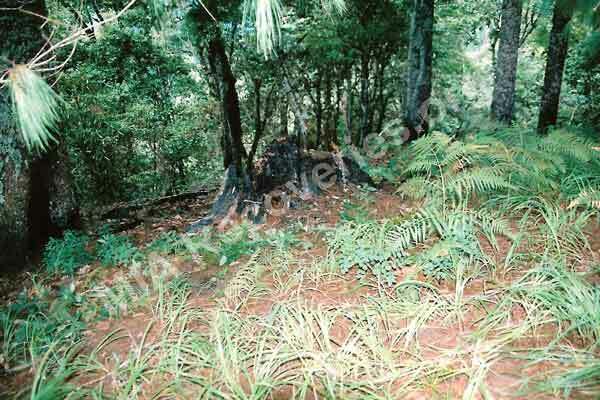 It crashed near the summit of a jungle-covered hill and burned. All crew members and passengers were killed with the sole exception of TSgt. Marvin H. Jacobs, who survived the crash with minor injuries and was rescued and cared for by local villagers. Dead: 34. Passenger: 1st Lt. John F. McDonough, Jr. Passenger: SSgt. Joseph B. Hewitt, Jr. Passenger: SSgt. David McKissock, Jr. Note: Bolded name is that of sole survivor of this crash. TSgt. Marvin H. Jacobs was thrown clear of the wreckage and ensuing fire, and sustained only minor injuries. He was soon found by a hunter from a local tribal village who witnessed the crash while camped on a nearby hill. The hunter built a bamboo lean-to shelter for Jacobs and cared for him before carrying him down to the village. A runner from the village was sent to notify the US Army. The villagers then built a rough airstrip so the Americans could recover Jacobs with a small aircraft. 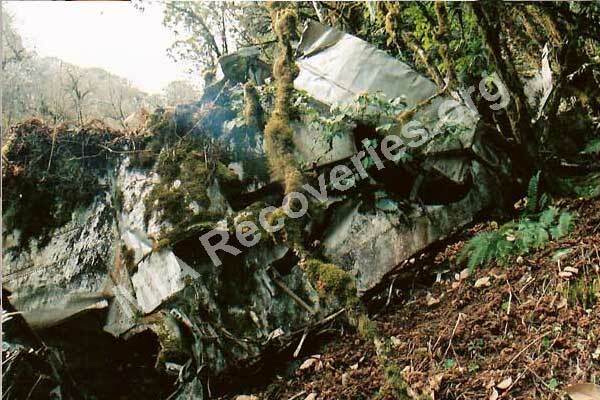 This aircraft was lost on the Hump on 20 Mar 1943 while enroute from Pandaveswar, India to Kunming, China. It was assigned to the 14th Air Force, 308th Bombardment Group, 425th Squadron and was on its original flight to Kunming to begin work in China. It had been cleared for flight from Chabua, India to Kunming, but its location at the time it encountered problems is not known. The aircraft did not send a position report or mayday call. The nature of the loss is unknown as the aircraft has never been found. Dead: 10. On 24 Mar 1944, this aircraft was on a cargo mission from Chabua, India to Ondal, India via Tezpur. The pilot was given night instrument clearance from Chabua to Ondal. There was light to moderate thunderstorm activity with ground fog and intermittent hail along the entire route, with heaviest storm activity in the Tezpur and Misamari area. 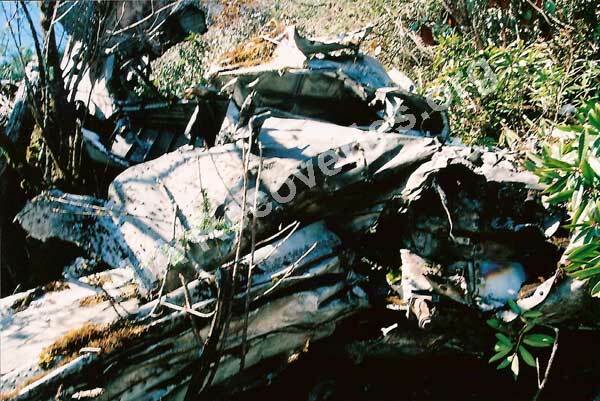 The aircraft crashed enroute, killing all the crew. Cause of crash is undetermined. Dead: 4. This aircraft departed Jorhat, India enroute to Chengtu, China on 17 Jul 1945 at approx. 0230 IST. They had instrument clearance on the Able route. It was a routine Hump cargo flight hauling 100 octane aviation gasoline to the Chengtu area. 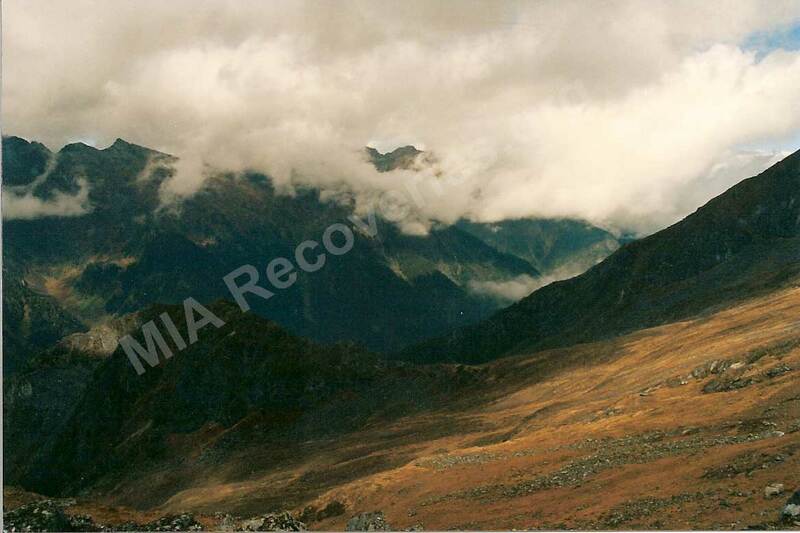 A received position report put the aircraft over Pathalipam at 8,000 ft. There were no further radio contacts with this aircraft. No replies were received in response to all queries sent. The aircraft disappeared somewhere on the Hump and was declared missing as of 17 Jul 1945. A concentrated search was conducted to no avail, and the search was abandoned on 17 Aug 1945. In view of the complete absence of information, the cause of the accident remains undetermined. Crew declared dead. Dead: 4. This aircraft was enroute from Kunming, China to Misamari, India on 20 Feb 1944. The weather was extremely bad and radio contact was very poor. The pilot was evidently lost and the aircraft was running low on fuel. Pilot called Chabua for a bearing, and Chabua shot bearings on the aircraft and instructed pilot to let down. Pilot wanted to bailout, but Chabua assured him it was OK to let down from 12,500 ft. to 8,000 ft. Pilot was also receiving bearings and instructions from Jorhat, and this might have caused even more confusion for the pilot. The last radio transmission from aircraft ended with a loud crashing sound. 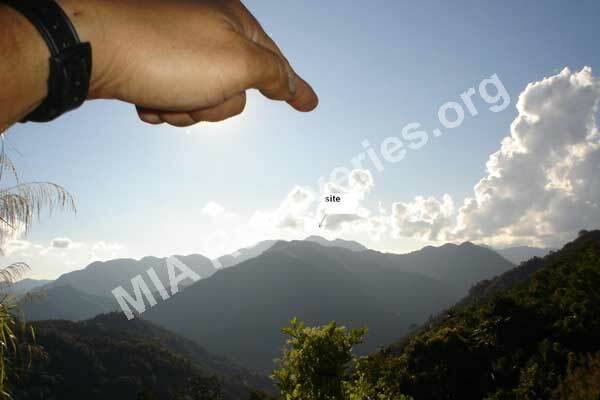 It is presumed the aircraft crashed into a mountain. Aircraft not located and crew declared dead. Dead: 4. On 25 Jan 1944, this aircraft departed Kunming, China at 0740 CST for Chabua, India on a routine ferrying mission. The aircraft was assigned to the 14th Air Force, 308th Bombardment Group, 425th Squadron. The aircraft experienced extreme instrument weather conditions upon entering India at 1045 IST and left the formation it was flying in. Cloud ceiling was at treetop level and visibility was less than 1 mi. Last communication from aircraft stated it was on a NW course at 15,000 ft. It did not reach Chabua. It was listed as missing in routine flight. No further information was available as of 20 Nov 1944. Crew declared dead. Dead: 8. Gunner: Sgt. Alfred H. Gerrans, Jr. This CNAC aircraft departed Dinjan, India on 06 Jan 1945 for Kunming, China. It was a routine cargo flight over the Hump on Able route. Its cargo was graphite electrodes destined for an electric smelting furnace somewhere in China. 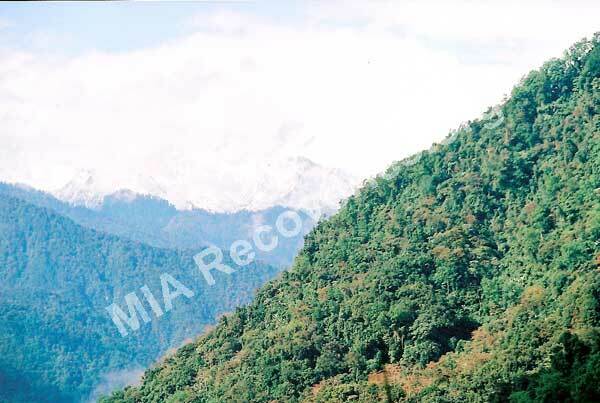 As the aircraft climbed high to cross the mountains on the India-Burma border, it started accumulating a heavy load of ice on all forward-facing aircraft surfaces and was steadily loosing airspeed and altitude. Pilot, Joe Rosbert, radioed Dinjan and reported he couldn’t clear the border mountains and he needed to return to Dinjan. He proceeded to turn the aircraft 180 deg. to set a return course to Dinjan. The aircraft windscreen had completely iced-over as the deicing equipment was inadequate for the severe weather conditions. Joe pressed the palm of his hand against the windscreen glass in an attempt to melt a vision hole in the ice on the outside and peered through looking for mountains. He had no sooner completed the turn, when he saw a mountain looming up directly in front of him. 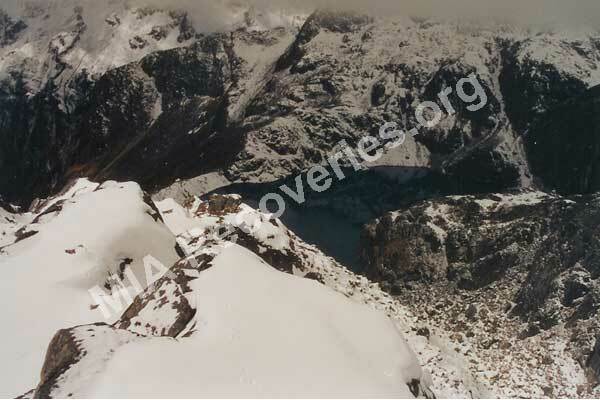 With no time or engine power to gain altitude, the aircraft suddenly skimmed across the snow-covered shoulder of the mountain and skidded to a stop at almost 15,000 ft. The impact tore off both engines and both landing gear, but there was no fire or explosion. A propeller blade had broken and came through the fuselage, striking and killing the radio operator. The pilot and co-pilot survived the crash with injuries to their ankles. After weeks of agonizing travel down the mountain and through rugged wilderness, the pilot and co-pilot eventually reached a tiny Mishmi village. 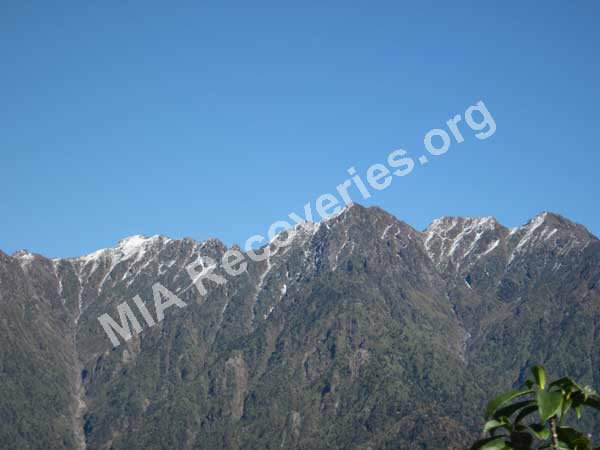 The Mishmi villagers cared for the injured airmen until a runner could bring a British survey team back to the village. 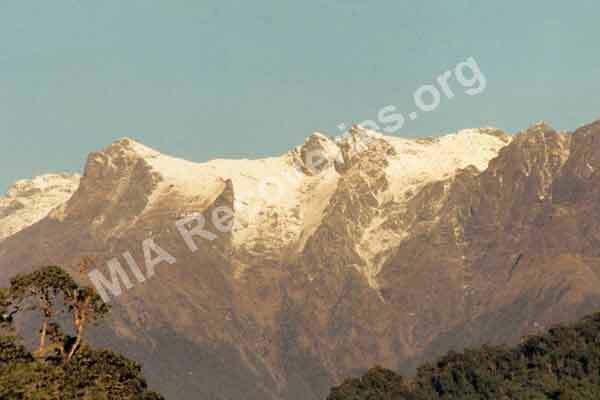 The Mishmi tribesmen then carried the airmen while accompanying the British team down to the US radio beacon station at Sadiya, India. Note: Bolded names are those of survivors of this crash. C.J. Rosbert survived the war and died in Texas in 2007. Charles R. Hammell died in the crash of CNAC #94 near Dinjan, India on 09 May 1945 and was buried at Panitola Cemetery on 10 May 1945. This aircraft departed Yunnanyi, China at 0840 CST for Misamari, India on 02 Nov 1943. The aircraft was assigned to the Air Transport Command. No radio contacts were received from the aircraft after its departure from Yunnanyi. It did not arrive in Misamari and was listed as missing. The cause of the loss is unknown, as the weather was reportedly good and the aircraft was new. 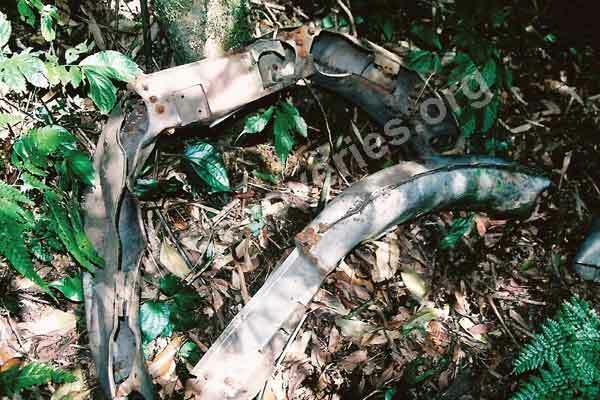 It’s possible it was brought down by Japanese fighter aircraft operating over northern Burma. 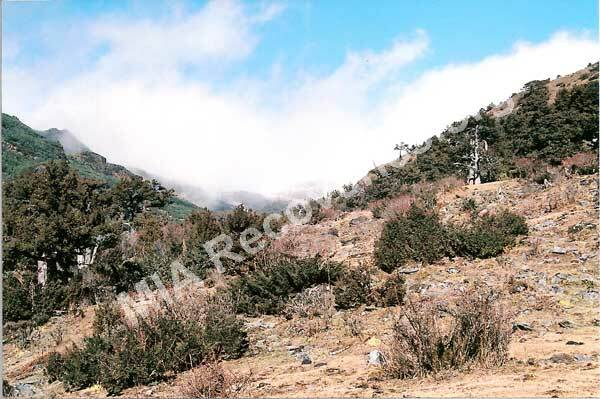 The ATC search and rescue team at Ft. Hertz, Burma received a report on 09 Oct 1944 about a US aircraft wreck found high in the mountains in northeastern India, just across the border from Burma. 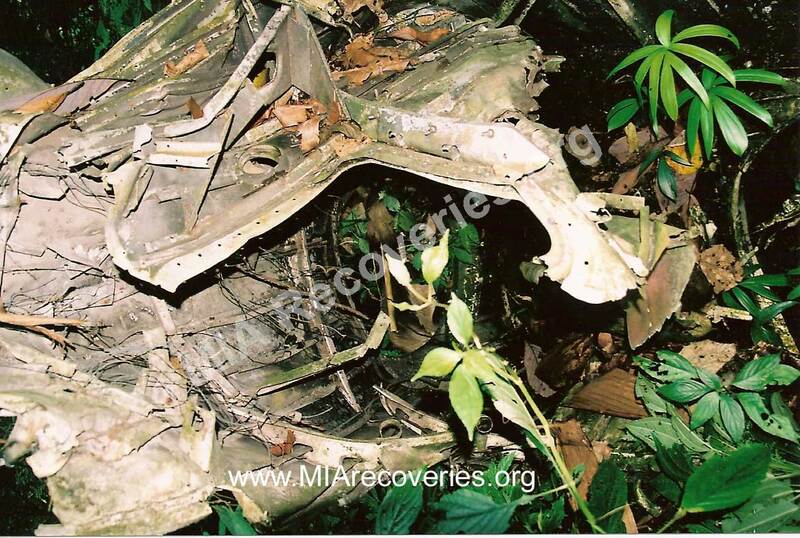 They went to the wreckage site and identified it as being this aircraft. 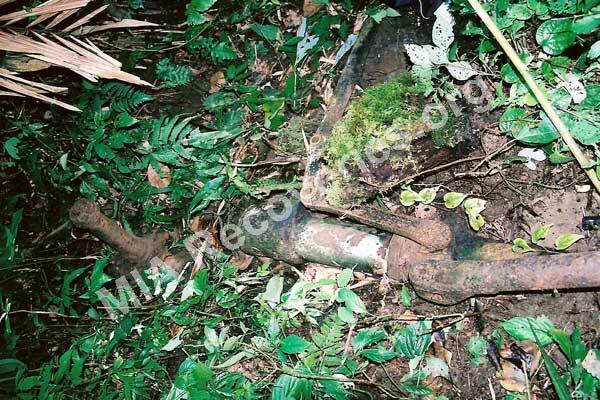 All 3 crew members were found and identified and their remains were buried at the site. Dead: 3. This CNAC aircraft departed Kunming, China at 0709 GMT on 06 Jan 1945 for Tengchung, China. The aircraft was over Tengchung, but was unable to land because of bad weather. Pilot decided to return to his home base in Dinjan, India. Pilot radioed Kunming at 0822 GMT, but received no reply from Kunming. No further radio contact was made with this aircraft. Dead: 4. On 24 Apr 1943, this aircraft departed Yangkai, China at approx. 1400 CST for its home base in Chabua, India. It was assigned to the 1333rd AAF Base Unit, 22nd Ferrying Group, 3rd Ferrying Squadron. There was no radio contact with this aircraft after take-off in Yangkai. It did not arrive in Chabua and was listed as missing. Aerial searches commenced immediately and lasted until 26 May 1943. The aircraft was not located. The nature of its loss is unknown. No further information has become available. Crew was declared dead. Dead: 5. Pilot: Capt. Jennings H. Mease, Sr.
Co-Pilot: 2nd Lt. Samuel E. Lunday, Jr.